Other comments: Launched as Teresa in 1947 , Registered 1950 in Leith as Owendo ( official no. 182705 ) , 4 previous owners ( or so records appear to show ) , Owendo is in a significantly original condition . Recently passed hull condition survey ( Dec 2013 ) with no detectable loss of shape or evidence of timber degradation ( well done Elkins ! ) 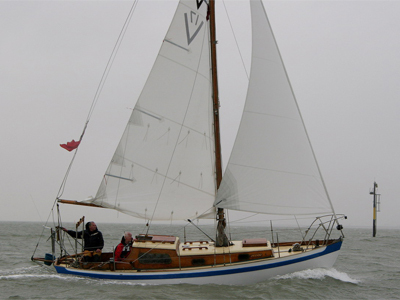 Think she has original mast ( in two full length glued pieces ) , just refurbished and refinished , beautiful shaping.